December 6, TIME Magazine announced its choice for Person of the Year. After weeks of speculation, the honor was bestowed upon "The Silence Breakers," the countless women and men who have chosen to break their silence and publicly share their experiences with sexual assault and harassment using the hashtag #MeToo. Unfortunately — even as we witness the tide turning with victims finally being heard and accusers finally being held accountable for their abusive behavior — there are still efforts to silence victims' voices. According to a BuzzFeed report, there's a growing backlash against the successful #MeToo campaign, with many of those accused filing expensive and time-consuming defamation lawsuits against their accusers. Luckily there are laws that protect victims in these circumstances. Several states across the country have anti-SLAPP laws on the books that protect those who speak out from legal efforts used to intimidate them into silence. Unfortunately, not all states have anti-SLAPP laws, which is why we're petitioning the states listed above to pass anti-SLAPP legislation in order to protect the brave women and men who refuse to remain silent about their abuse. 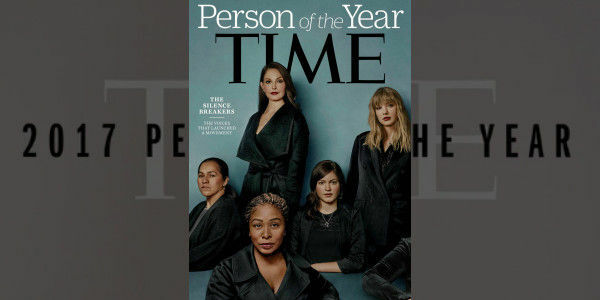 The #MeToo campaign was created nearly 10 years ago by Tarana Burke, but was recently amplified by actress Alyssa Milano on Twitter. With more than 3 million hits on Twitter, #MeToo has gone from being a trending hashtag to a massive movement. As a result, men all across the country are finally being asked to pay the consequences for their damaging actions. That's why it's troubling that men across the country are retaliating by filing nonsense defamation lawsuits in order to silence their accusers' voices. We must let sexual predators know that there's no turning back and that we won't let them silence the "silence breakers" any more. Please sign this petition and let's get anti-SLAPP laws on the books in ALL fifty states.